improve your bookmarking and Google skills and maximize your sales! As for the smaller business entities the use of the “1+” button can effectively provide the platform for influencing the search results performed. The button allows article, blog posts and other to be included to increase the discussion as well as to bring this back to the host page. This is especially useful for the expansion possibilities when more traffic is drawn in. 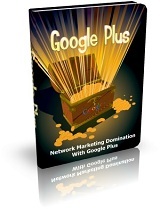 The commercial accounts can also make use of the Google plus to create added benefits to the business endeavor. This is especially important for its contributing factor of being able to facilitate the finding of anything pertaining to the main interest of the user. But you have to know how to use it correctly! Without the correct knowledge and skills, your Google efforts will leave you feeling as if there is no solution to your success issues. However if you’re willing to go through the learning curve, you will eventually get the results you deserve!